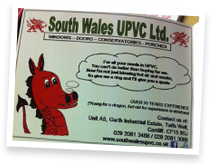 Why should you choose South Wales Windows & Doors? 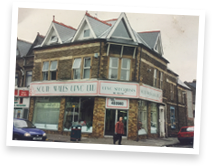 Established in 1990 South Wales Windows is South Wales’s longest serving family run double glazing business. 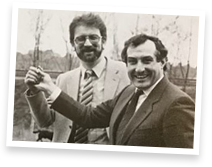 Since this time, we’ve made it our mission to build our reputation for excellence and great products one customer at a time and work hard to uphold our high standards. With our extensive experience, we work with homeowners throughout Cardiff, South Wales and the South West, supplying and installing the highest quality double glazed windows, doors and conservatories - designed to your specifications - in an efficient and cost-effective way. 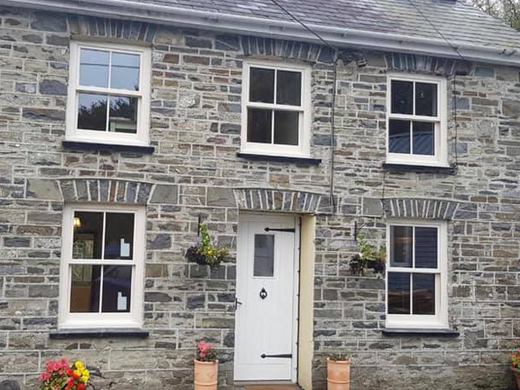 Haydn started South Wales Windows in 1990 after growing a wealth of experience in the industry selling windows and doors through the 1970s and 1980’s. Haydn started off with a humble office and show room on Woodville road building our reputation for fair prices and great products from the offset. With our reputation growing alongside our range of product and services. A larger team meant a move to City Road Cardiff, to fulfil demand create a new improved showroom and one of the first in area of its size and range. After 5 years of continued growth and demand for our services we made the move to start manufacturing. Needing a larger premise than before we settled in Taffs Well and remained there for over 20 years. Haydn’s daughter Catrin begins working for the company. Initially to help with admin Catrin quickly developed into a management role helping Haydn manage the busy day tasks and becoming a pivotal member of team. The next big move sees us growing our team and gearing up to celebrate our 30th year of trading. Locating to Treforest to open a large showroom for customers to browse products and chat with us about their needs. Haydn now into his 70s works part time with Catrin who has worked beside him for more than 10 years now working as director alongside her husband and close friend. With our extensive experience and knowledge of the industry we’re not content to rest. We’re always pushing and looking for new products to help our new and existing customers for many years to come. Most of our sales come from recommendations and happy customers. When you contact us for a quote, we won’t employ a ‘hard-sell’ approach. We are happy to assist and advise with no obligation, using our wealth of knowledge to help you. We know that your home is much more than just a place to live – it's somewhere you're proud of, reflecting who you are and how you live. Therefore, we will take the time to get to know exactly what you want and quote you a price specifically for the work you want done. If you would like any further information regarding our high quality range of windows, doors and more for your home in Cardiff or South Wales then please fill in our online enquiry form or call us on 02920813488.